Here’s a track I worked on back in the Summer with the Chemical Brothers. I never realised there was video for this… just spotted it! 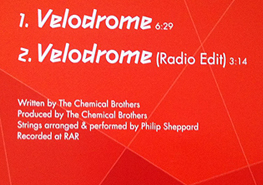 It was written for the opening of the Velodrome at the London 2012 Olympics. It features multitracked violins, cellos, treble viols, electric cello, table harp and a bit more cello just for luck.